Reading into elasticsearch material and I came across an interesting opensource project known as Luke. I took a look today and explore what luke is. So what is luke? If you have been administrating or develop app using lucene related, you should know how search efficiency matter and with another great tool like luke, this will enhance your understanding on lucene. Okay, enough talk, let's download the source. You can download it here and then uncompress luke. Everything is expected, no difficult. Let's compile the code and so we can run luke. /home/user/luke-master/build.xml:29: /home/user/luke-master/lib does not exist. [WARNING] /home/user/luke-master/src/main/java/org/getopt/luke/ClassFinder.java: Some input files use unchecked or unsafe operations. [WARNING] /home/user/luke-master/src/main/java/org/getopt/luke/ClassFinder.java: Recompile with -Xlint:unchecked for details. [INFO] Including org.apache.lucene:lucene-core:jar:6.2.1 in the shaded jar. [INFO] Including org.apache.lucene:lucene-analyzers-common:jar:6.2.1 in the shaded jar. [INFO] Including org.apache.lucene:lucene-misc:jar:6.2.1 in the shaded jar. [INFO] Including org.apache.lucene:lucene-queries:jar:6.2.1 in the shaded jar. [INFO] Including org.apache.lucene:lucene-queryparser:jar:6.2.1 in the shaded jar. [INFO] Including org.apache.lucene:lucene-sandbox:jar:6.2.1 in the shaded jar. [INFO] Including org.apache.solr:solr-solrj:jar:6.2.1 in the shaded jar. [INFO] Including com.fasterxml.jackson.core:jackson-annotations:jar:2.5.4 in the shaded jar. [INFO] Including com.fasterxml.jackson.core:jackson-core:jar:2.5.4 in the shaded jar. [INFO] Including com.fasterxml.jackson.core:jackson-databind:jar:2.5.4 in the shaded jar. [INFO] Including commons-io:commons-io:jar:2.5 in the shaded jar. [INFO] Including org.apache.httpcomponents:httpclient:jar:4.4.1 in the shaded jar. [INFO] Including org.apache.httpcomponents:httpcore:jar:4.4.1 in the shaded jar. [INFO] Including org.apache.httpcomponents:httpmime:jar:4.4.1 in the shaded jar. [INFO] Including org.apache.zookeeper:zookeeper:jar:3.4.6 in the shaded jar. [INFO] Including org.codehaus.woodstox:stax2-api:jar:3.1.4 in the shaded jar. [INFO] Including org.codehaus.woodstox:woodstox-core-asl:jar:4.4.1 in the shaded jar. [INFO] Including org.noggit:noggit:jar:0.6 in the shaded jar. [INFO] Including org.slf4j:jcl-over-slf4j:jar:1.7.7 in the shaded jar. [INFO] Including org.apache.solr:solr-core:jar:6.2.1 in the shaded jar. 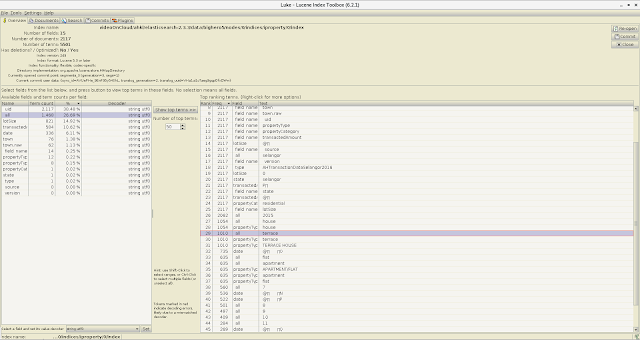 [INFO] Including org.apache.lucene:lucene-analyzers-kuromoji:jar:6.2.1 in the shaded jar. [INFO] Including org.apache.lucene:lucene-analyzers-phonetic:jar:6.2.1 in the shaded jar. [INFO] Including org.apache.lucene:lucene-backward-codecs:jar:6.2.1 in the shaded jar. [INFO] Including org.apache.lucene:lucene-classification:jar:6.2.1 in the shaded jar. [INFO] Including org.apache.lucene:lucene-codecs:jar:6.2.1 in the shaded jar. [INFO] Including org.apache.lucene:lucene-expressions:jar:6.2.1 in the shaded jar. [INFO] Including org.apache.lucene:lucene-grouping:jar:6.2.1 in the shaded jar. [INFO] Including org.apache.lucene:lucene-highlighter:jar:6.2.1 in the shaded jar. [INFO] Including org.apache.lucene:lucene-join:jar:6.2.1 in the shaded jar. [INFO] Including org.apache.lucene:lucene-memory:jar:6.2.1 in the shaded jar. [INFO] Including org.apache.lucene:lucene-spatial-extras:jar:6.2.1 in the shaded jar. [INFO] Including org.apache.lucene:lucene-suggest:jar:6.2.1 in the shaded jar. [INFO] Including com.carrotsearch:hppc:jar:0.7.1 in the shaded jar. [INFO] Including com.facebook.presto:presto-parser:jar:0.122 in the shaded jar. [INFO] Including com.fasterxml.jackson.dataformat:jackson-dataformat-smile:jar:2.5.4 in the shaded jar. [INFO] Including com.github.ben-manes.caffeine:caffeine:jar:1.0.1 in the shaded jar. [INFO] Including com.tdunning:t-digest:jar:3.1 in the shaded jar. [INFO] Including commons-fileupload:commons-fileupload:jar:1.3.1 in the shaded jar. [INFO] Including dom4j:dom4j:jar:1.6.1 in the shaded jar. [INFO] Including io.airlift:slice:jar:0.10 in the shaded jar. [INFO] Including javax.servlet:javax.servlet-api:jar:3.1.0 in the shaded jar. [INFO] Including joda-time:joda-time:jar:2.2 in the shaded jar. [INFO] Including org.antlr:antlr4-runtime:jar:4.5.1-1 in the shaded jar. [INFO] Including org.apache.commons:commons-exec:jar:1.3 in the shaded jar. [INFO] Including org.apache.curator:curator-client:jar:2.8.0 in the shaded jar. [INFO] Including org.apache.curator:curator-framework:jar:2.8.0 in the shaded jar. [INFO] Including org.apache.curator:curator-recipes:jar:2.8.0 in the shaded jar. [INFO] Including org.apache.htrace:htrace-core:jar:3.2.0-incubating in the shaded jar. [INFO] Including org.eclipse.jetty:jetty-continuation:jar:9.3.8.v20160314 in the shaded jar. [INFO] Including org.eclipse.jetty:jetty-deploy:jar:9.3.8.v20160314 in the shaded jar. [INFO] Including org.eclipse.jetty:jetty-http:jar:9.3.8.v20160314 in the shaded jar. [INFO] Including org.eclipse.jetty:jetty-io:jar:9.3.8.v20160314 in the shaded jar. [INFO] Including org.eclipse.jetty:jetty-jmx:jar:9.3.8.v20160314 in the shaded jar. [INFO] Including org.eclipse.jetty:jetty-rewrite:jar:9.3.8.v20160314 in the shaded jar. [INFO] Including org.eclipse.jetty:jetty-security:jar:9.3.8.v20160314 in the shaded jar. [INFO] Including org.eclipse.jetty:jetty-server:jar:9.3.8.v20160314 in the shaded jar. [INFO] Including org.eclipse.jetty:jetty-servlet:jar:9.3.8.v20160314 in the shaded jar. [INFO] Including org.eclipse.jetty:jetty-servlets:jar:9.3.8.v20160314 in the shaded jar. [INFO] Including org.eclipse.jetty:jetty-util:jar:9.3.8.v20160314 in the shaded jar. [INFO] Including org.eclipse.jetty:jetty-webapp:jar:9.3.8.v20160314 in the shaded jar. [INFO] Including org.eclipse.jetty:jetty-xml:jar:9.3.8.v20160314 in the shaded jar. [INFO] Including org.locationtech.spatial4j:spatial4j:jar:0.6 in the shaded jar. [INFO] Including org.ow2.asm:asm:jar:5.1 in the shaded jar. [INFO] Including org.ow2.asm:asm-commons:jar:5.1 in the shaded jar. [INFO] Including org.restlet.jee:org.restlet:jar:2.3.0 in the shaded jar. [INFO] Including org.restlet.jee:org.restlet.ext.servlet:jar:2.3.0 in the shaded jar. [INFO] Including org.apache.hadoop:hadoop-core:jar:1.2.1 in the shaded jar. [INFO] Including com.sun.jersey:jersey-core:jar:1.8 in the shaded jar. [INFO] Including com.sun.jersey:jersey-json:jar:1.8 in the shaded jar. [INFO] Including stax:stax-api:jar:1.0.1 in the shaded jar. [INFO] Including org.codehaus.jackson:jackson-core-asl:jar:1.7.1 in the shaded jar. [INFO] Including org.codehaus.jackson:jackson-jaxrs:jar:1.7.1 in the shaded jar. [INFO] Including org.codehaus.jackson:jackson-xc:jar:1.7.1 in the shaded jar. [INFO] Including com.sun.jersey:jersey-server:jar:1.8 in the shaded jar. [INFO] Including commons-httpclient:commons-httpclient:jar:3.0.1 in the shaded jar. [INFO] Including commons-logging:commons-logging:jar:1.0.3 in the shaded jar. [INFO] Including org.apache.commons:commons-math:jar:2.1 in the shaded jar. [INFO] Including commons-net:commons-net:jar:1.4.1 in the shaded jar. [INFO] Including org.mortbay.jetty:servlet-api:jar:2.5-20081211 in the shaded jar. [INFO] Including tomcat:jasper-runtime:jar:5.5.12 in the shaded jar. [INFO] Including tomcat:jasper-compiler:jar:5.5.12 in the shaded jar. [INFO] Including org.mortbay.jetty:jsp-api-2.1:jar:6.1.14 in the shaded jar. [INFO] Including org.mortbay.jetty:servlet-api-2.5:jar:6.1.14 in the shaded jar. [INFO] Including org.mortbay.jetty:jsp-2.1:jar:6.1.14 in the shaded jar. [INFO] Including ant:ant:jar:1.6.5 in the shaded jar. [INFO] Including commons-el:commons-el:jar:1.0 in the shaded jar. [INFO] Including net.java.dev.jets3t:jets3t:jar:0.6.1 in the shaded jar. [INFO] Including hsqldb:hsqldb:jar:1.8.0.10 in the shaded jar. [INFO] Including oro:oro:jar:2.0.8 in the shaded jar. [INFO] Including org.eclipse.jdt:core:jar:3.1.1 in the shaded jar. [INFO] Including org.codehaus.jackson:jackson-mapper-asl:jar:1.8.8 in the shaded jar. [INFO] Including org.mozilla:rhino:jar:1.7R4 in the shaded jar. [INFO] Including net.sf.ehcache:ehcache:jar:2.9.0 in the shaded jar. [INFO] Including org.slf4j:slf4j-log4j12:jar:1.7.7 in the shaded jar. [WARNING] one single version of the class is copied in the uberjar. At first, I compile luke using ant, apparently some lib dependencies were not satisfy. Fear not! luke come with maven pom file and I just run command mvn. The result of build is success as you can see! Fantastic! Let's inspect the directory again and we should see some binaries built. sweet, everything is in order, we have binary build in target directory. Let's launch luke! I attach some screenshots below. When luke is launched, it ask to locate the lucene index, I just pointed to the index which I created during a hackathon. This index is created using elasticsearch 2.3.3 and apparently luke version 6.2.1 read fine on this index. You should try it!